In addition to the thousands of visitors it welcomes each year, Dundee Science Centre is now welcoming the four-legged variety too! 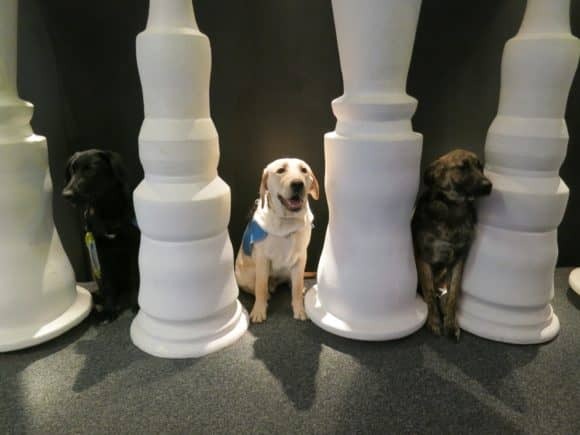 The Centre is opening its doors to Guide Dogs for the Blind, offering trainers and their dogs a multi-sensory place to visit and socialise amongst members of the public, including young children. Puppy Training Supervisor Wendy Ramsay said, “Dundee Science Centre is an ideal venue for our guide dog puppies to visit as there are lots of different floor surfaces, variable lighting and it’s nice and noisy. 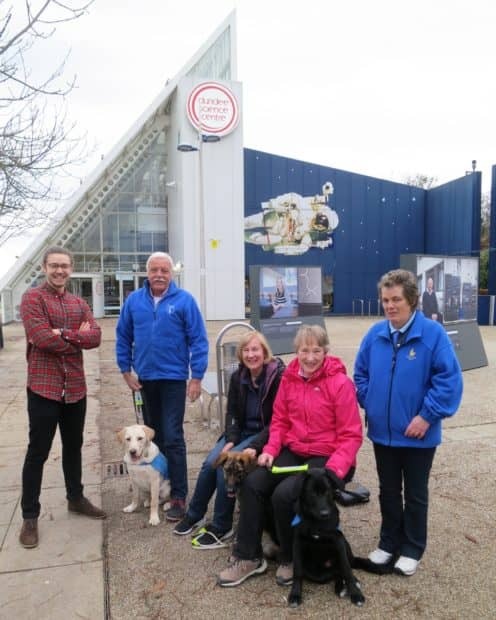 “It’s really important for our volunteer puppy walkers to take our guide dog puppies on days out such as this, as it gives the pups a chance to visit types of environments they haven’t experienced before. Dundee Science Centre is open daily from 10am-5pm. For further information, please telephone 01382 228800 or visit www.dundeesciencecentre.org.uk .